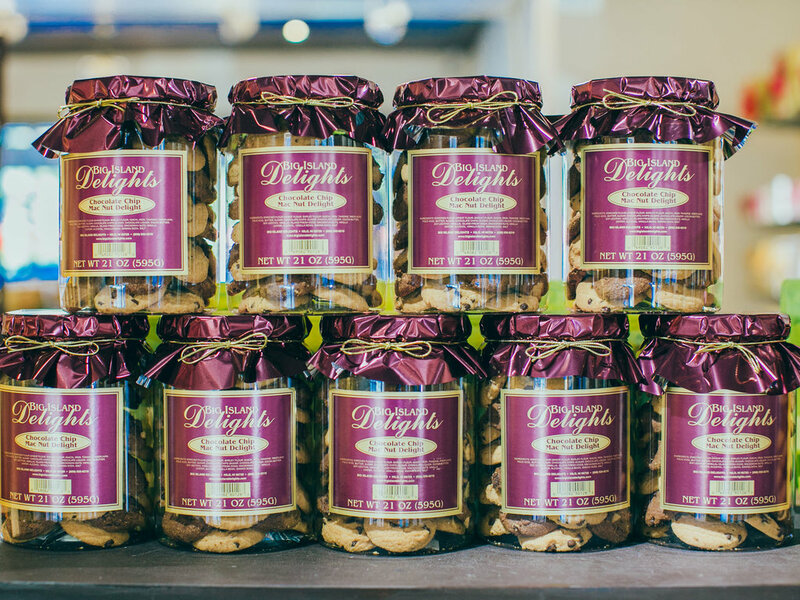 Big Island Delights is a family owned business that has been creating premium cookies and confections. Free self-parking in the Ward Village Shops parking garage. 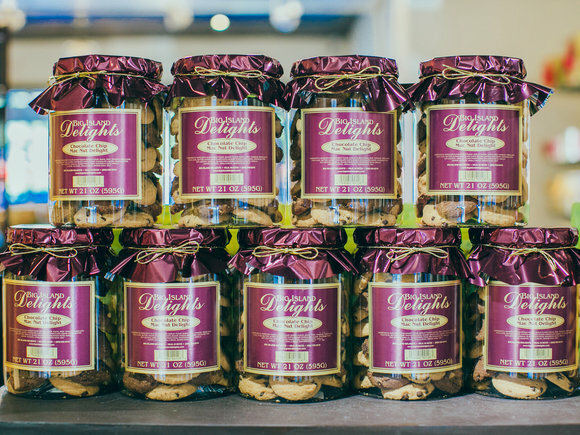 Family owned Big Island Delights has been creating premium cookies and confections in Hilo since 1996. Six years ago, they moved from wholesale to retail purveyors and continue to operate their retail stores in Hilo and Ward Warehouse in Oahu. Their product line has expanded to include locally grown coffee, crisp bagel chops, jerky, gift baskets and so much more. Top notch raw ingredients are used to make Big Island Delights, Takamine said, including fresh butter and eggs, pure Tahitian vanilla extract, premium chocolate and 100 percent Hawaiian-grown roasted macadamia nuts. 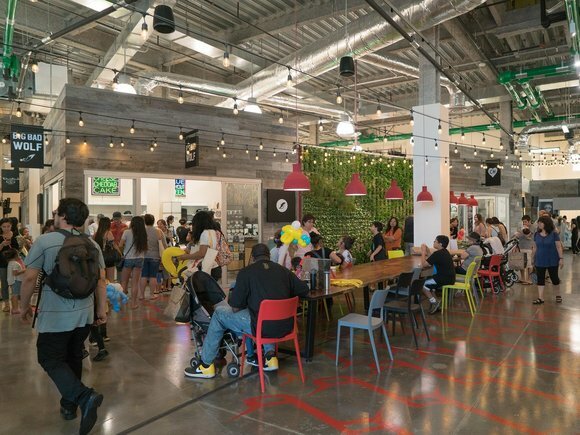 Values such as generosity, respect and honesty are key to the company's growth and success.